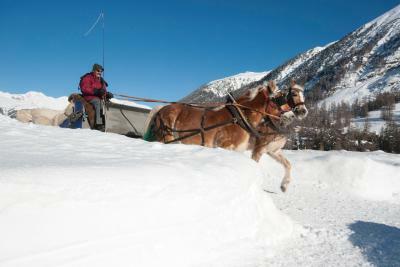 Lock in a great price for Pontresina Youth Hostel - rated 8.8 by recent guests. Incredible views from the restaurant. 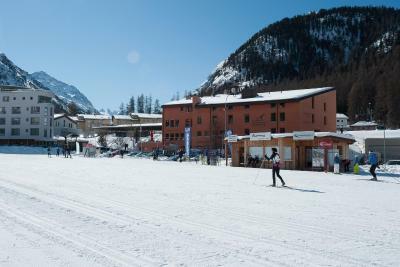 Cross country skiing facilities directly outside our accommodation (and a hire shop downstairs!). 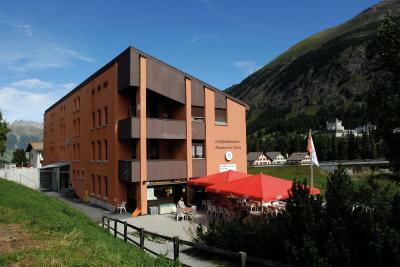 A nearby village slope for learners plus alpine ski hire. 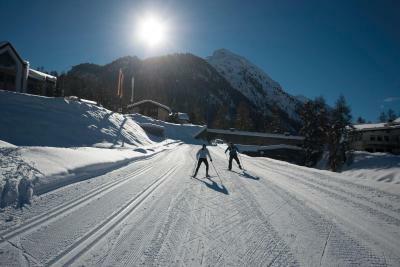 Availability of skiing lessons. A nearby spa and ice rink. Excellent food most of the time and an all inclusive delicious breakfast with fantastic Swiss bread. 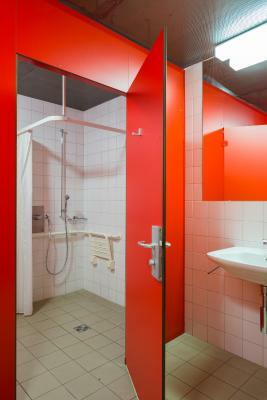 Great heating and very clean showers. Very friendly staff. Very friendly staff! Some language barrier, but that was part of the fun! Really nice staff ! 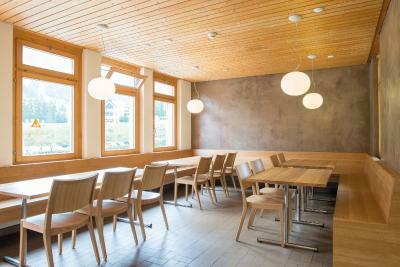 The location is perfect, the place is well furnished and clean and the food is delicious ! General atmosphere and the happy hostel management. Booked for 1 night. Extended for 4. So good. Meals were exceptional value. Across road from train station - bonus! Die Mitarbeiter sind sehr freundlich und sympathisch. Die ganze Herberge wirkt aus diesem Grund sehr einladend. Das Essen ist dazu Spitze. 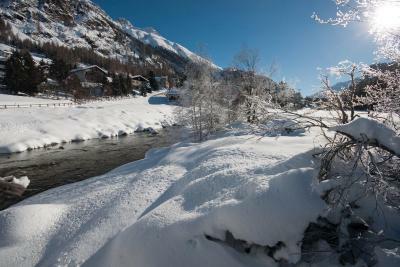 Die Lage ist zum Langlaufen gehen und Engadin entdecken perfekt. Ausgezeichnetes Frühstück. Brot von herausragender Qualität. Hausgemachtes Müesli. Butter in vernünftige Würfel geschnitten. Konfitüre ohne Verpackungsidiotie- ein Glas und ein Löffel zum Selberschöpfen genügt doch vollkommen. Reichhaltiges Frühstücksbüffet schön angerichtet. Die Frühstückszeiten ideal. Genügend Sitzmöglichkeiten, gemütliche Atmosphäre, gute Stimmung unter den Jugendherberge-Gästen. 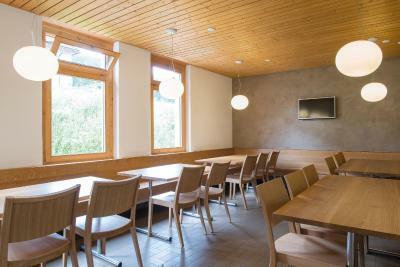 Youth Hostel Pontresina is located 30 yards from the Pontresina Railway Station and 750 yards from the local cable car station. The property has a football field, beach-volleyball court and a children's playground. 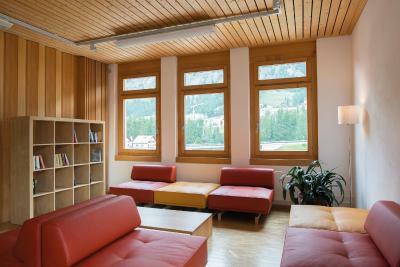 All rooms at Pontresina Youth Hostel have wooden floors, mountain views, shared bathroom facilities and a small cupboard. 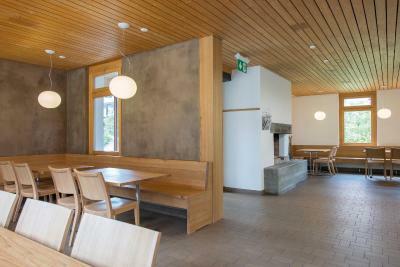 Several have wood-panelled walls and ceilings, a desk and a washbasin, and WiFi is available free of charge. 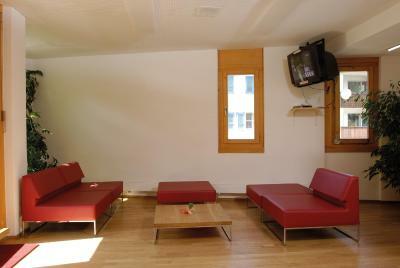 The hostel has a TV corner, library, reading room and children's play area. 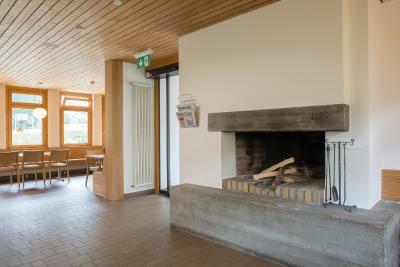 A bike and ski storage room with boot drying facilities, and a ski waxing area are also available on site. Ski passes can be bought at the hostel. 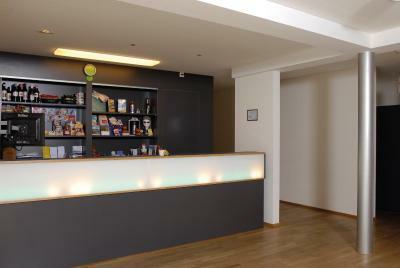 The property has table tennis and table football facilities, a sun terrace, and a souvenirs shop. 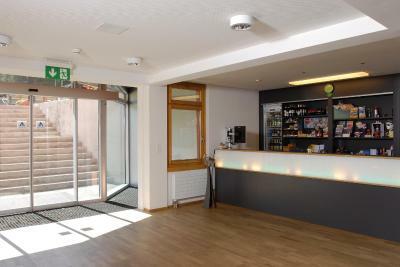 A sports shop with bike and cross-country ski rental, and a cross-country ski school can be found on the ground floor of the building. 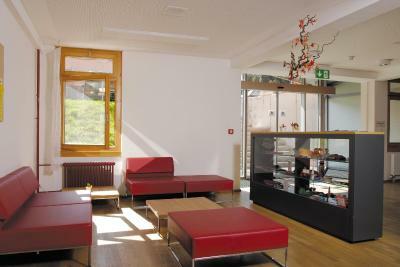 A buffet breakfast is served each morning and a self-service restaurant is available during winter. Packed lunches can be arranged upon request. 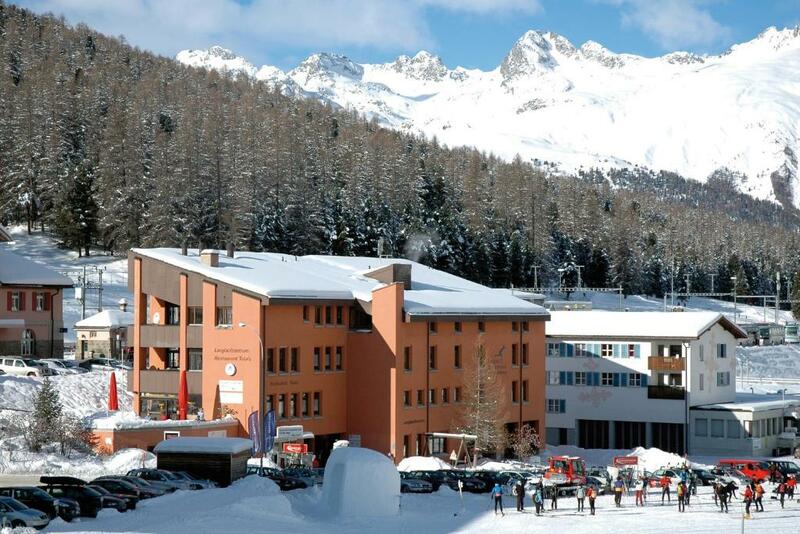 An indoor pool can be visited in Pontresina village centre, 0.6 miles away. Cinemas, jazz bars and discos can be visited there too. 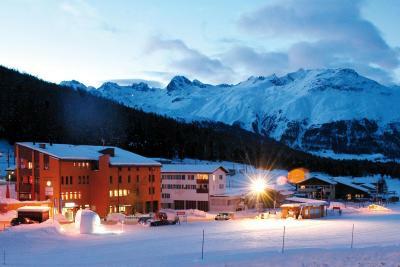 St. Moritz is 5 miles away. Private parking is available on site at an additional cost. 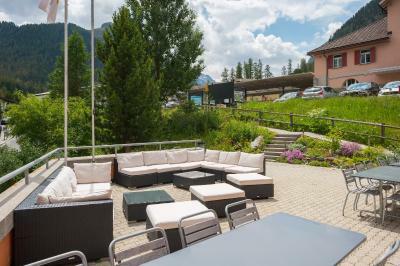 During the summer season, the free use of the mountain railway and public transports in the region is included when staying 2 nights or more. 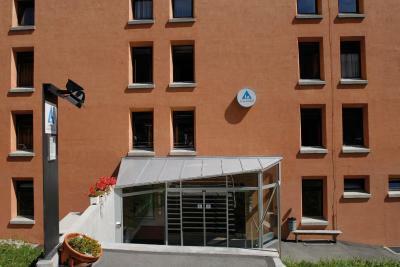 Pontresina Youth Hostel has been welcoming Booking.com guests since 13 Feb 2012. 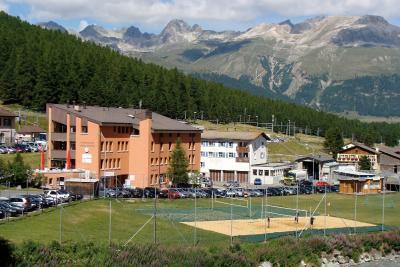 When would you like to stay at Pontresina Youth Hostel? 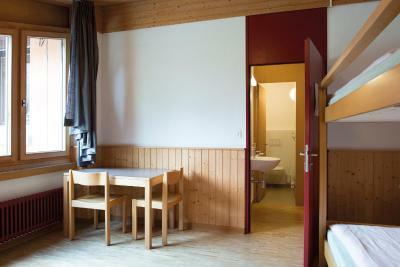 These rooms have wooden floors, mountain views, a small cupboard for each guest and shared bathroom facilities. 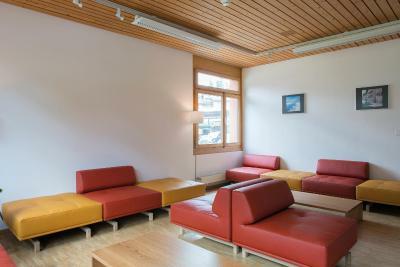 Private parking is possible on site (reservation is needed) and costs CHF 7 per day. 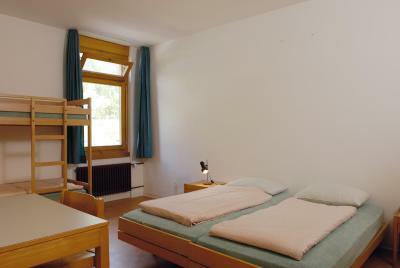 Bed in a dormitory room with wooden floors, mountain views, a small cupboard for each guest and shared bathroom facilities. These rooms have wooden floors, mountain views, a desk, washbasin, shared bathroom facilities and a small cupboard and bedside lamp for each guest. 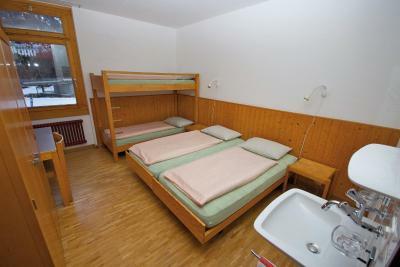 These rooms have wooden floors, mountain views, shared bathroom facilities and a small cupboard. House rules Pontresina Youth Hostel takes special requests - add in the next step! Pontresina Youth Hostel accepts these cards and reserves the right to temporarily hold an amount prior to arrival. The reception is closed from 18:30 until 19:30. The rooms are quite basic and the children found the room a bit dull and not as beautifully clean and comfortable as they had hoped. In reality the beds are extremely comfortable but the decor is dated. The floors get dirty quite quickly due to boots in the room. The outside corridors are kept beautifully clean. The breakfast service finishes at 9.30am which is early for British people. Nonetheless we were allowed to take a tray to the room as needed. Room was too crowded. It was smelly of people's sweat as well. Wish dinner was included in the price as well. I liked that it was VERY easy to get to from the train station, literally right across the street, and not too far a walk from the town if you want to talk a stroll. Nothing could have been better...the staff went OUT OF THEIR WAY to make our stay perfect. 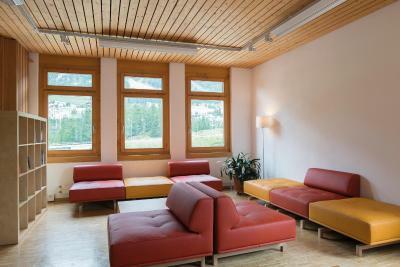 We absolutely loved the Pontresina Hostel. The staff were incredible and the food...I never expected 3 to 4 star food in a youth hostel, but it was truly outstanding. We were there when a school group (25-30) were also staying there. We never heard anything after 10 pm. I think they put us on another floor or something, it was so quiet. The location was perfect, we never heard the trains and slept very, very well. 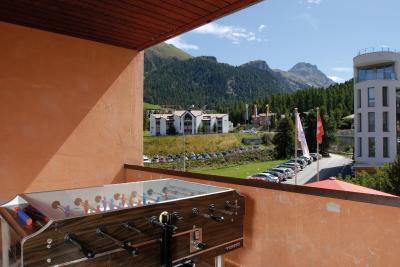 Ask for a room overlooking the playing fields...very entertaining!